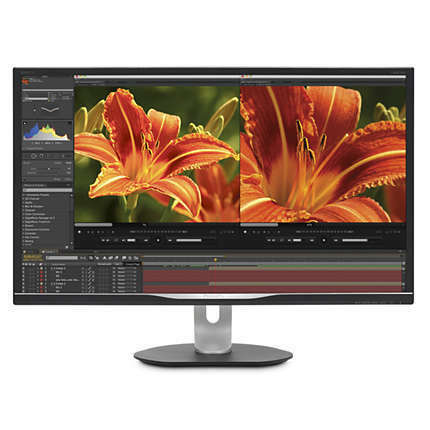 The Philips Brilliance 275P4VYKEB boasts the stunning 5K resolution that delivers 78% more pixels than the nowadays popular and affordable 4K resolution monitors. Moreover, it offers the impeccable color accuracy adequate for the high-end professional designers. With extensive ergonomics, a built-in camera, and the plethora of exclusive features, the Philips 275P4 5K is an ideal choice for those with the demanding needs and an appropriate budget. 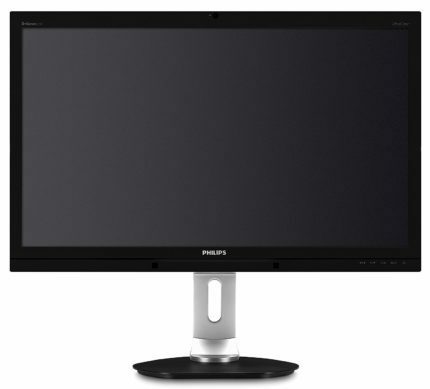 The Philips Brilliance 275P4VYKEB display uses Samsung’s PLS panel which, in short, delivers everything any IPS panel does – the flawless 178-degree viewing angles and accurate color reproduction. The panel supports true 10-bit color depth and covers 100% sRGB and 99% Adobe RGB color spaces. Additionally, it’s factory-calibrated to Delta-E below 2 color accuracy. The 5K resolution amounts to 5120×2880 or 14.7 million pixels. Such resolution on a 27-inch monitor results in an eye-catching pixel density of 218 pixels per inch which in combination with the true 10-bit color depth makes for an otherworldly image quality. The measured contrast ratio is a bit lower than the advertised 1,000:1 as it amounts to around 900:1, but this is the case with most displays anyway and it doesn’t take away from the overall picture quality. The SmartUniformity feature guarantees color uniformity across the entire screen, while brightness uniformity is a tad off at times. Although the Philips 275P4VYKEB monitor is clearly not intended for gaming, video games unsurprisingly look astonishing due to the high resolution and vibrant colors. However, the 19ms input lag makes competitive fast-paced video games unplayable, unless you’re looking for a tough challenge. While the response time speed of 8ms with gray to gray pixel transition does cause visible ghosting in video games, it’s not too critical, and rather hardly noticeable in the everyday use or work. Moreover, the panel is limited to 60Hz and has no variable-sync technology. The Philips Brilliance 275P4 PLS panel doesn’t use PWM (Pulse Width Modulation), so it’s flicker-free and won’t cause eye discomfort after long hours of working and watching the screen. The monitor also has an Economy mode which reduces the average power consumption of 85W to 45W. In the middle of the upper bezel of the Philips 275P4VYKEB display, there’s a 2.0-megapixel webcam with a microphone for convenient and easy online communication. In order to work, the camera needs the upstream USB port to be connected to the PC. The light next to the camera signalizes when it’s in use. In order for the other three USB 3.0 ports to work, besides connecting the upstream cable, you will have to manually activate the USB ports in the OSD (On-Screen Display) menu. There are seven OSD buttons placed on the bottom bezel at the right side. Apart from the common commands such as quick brightness adjustment, volume and power control, and OSD menu navigation, you can quickly activate the webcam and the SmartImage feature. The SmartImage feature consists of five pre-calibrated picture presets including Office, Photo, Movie, Game, Economy, and off. These presets use custom settings in order to suit the activity on the screen by utilizing the dynamic contrast ratio (50M:1) and other custom parameters of the usual adjustable settings. Other options in the OSD menu include selecting five different gamma settings (from 1.8 to 2.6), five different color temperatures (from 5000K to 9300K), swapping between sRGB and Adobe RGB color gamuts, and custom red, green, and blue color configuration. The Philips Brilliance 275P4VYKEB design consists of the versatile base with extensive ergonomic abilities including 150cm height adjustment, 90° pivot, 65° swivel to the left and right, 100 x 100 VESA mount compatibility, and -5°/+20° tilt. As you can see in the image, there are four USB 3.0 ports in total: two standard downstream ports, one with fast charging capacity, and an upstream port. In addition, there are audio ports for the headphones and the 2x2W built-in speakers. Connector ports include two DisplayPort 1.2 – both of which need to be connected to your graphics card in order to the monitor to display 5K at 60 FPS. If you connect only one DisplayPort, the image will be limited to 4K resolution at 60 FPS. The Philips Brilliance 275P4VYKEB features a glossy screen surface which requires properly dim ambient as it’s highly reflective in too bright rooms. However, it provides a clearer image quality. 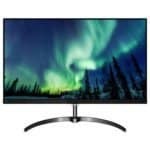 The Philips Brilliance 275P4VYKEB price amounts to $1,600 at the moment (July 2017) which is an expected price for a cutting-edge 5K resolution monitor with flawless color reproduction. If you’re a MAC user looking for 5K display, check out the LG UltraFine 5K with ThunderBolt 3/USB-C ports although it’s an 8-bit + FRC panel. The Dell UltraSharp UP2715K is an excellent alternative to the Philips 275P4, though it’s a bit more expensive. 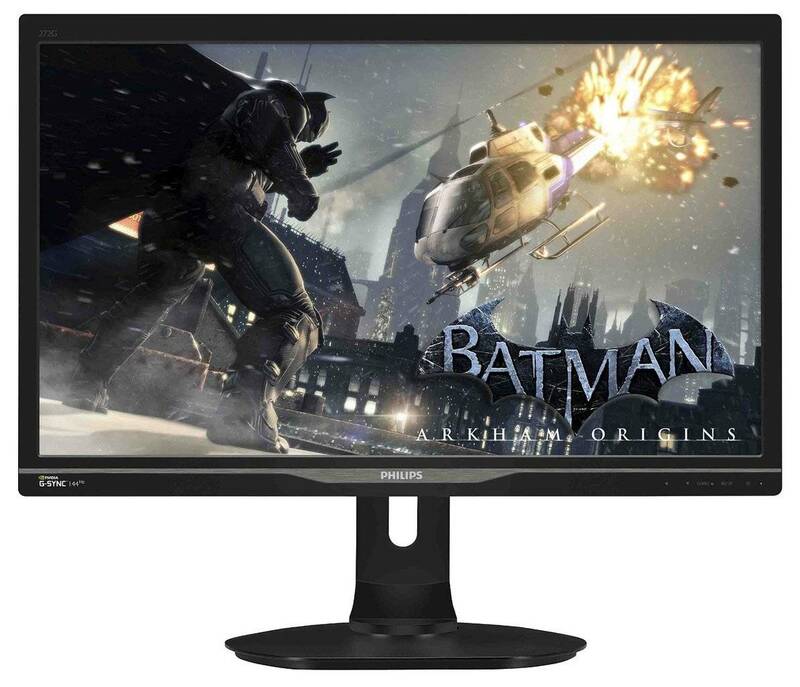 If you’re looking for a gaming monitor, check out gaming monitor buyer’s guide. The Philips Brilliance 275P4VYKEB offers a stunning image quality thanks to its 10-bit color depth and crisp 5K resolution. Due to its glossy finish, the picture clarity and intensity is even more immersive though you have to mind the reflection. With its convenient features, you can easily configure and swap between the color gamuts, ensure color uniformity, and deal with video chats either with clients, employees, or friends. Although the monitor features rather thick bezels, once the image comes up, it will steal your full attention. The Philips Brilliance 275P4VYKEB offers the crystal-clear 5K resolution that’s enriched by the accurate and consistent colors of its PLS panel and a smooth, glossy screen surface. Thank you for the article, until now I was not aware of this monitor. This is the first time hearing that the LG 5K display is 8-bit + FRC. Can you comment on wether the latest mid 2017 iMac 5K is also 8-bit + FRC or true 10-bit? I’m not sure about the iMac, can’t seem to find any information about it online either. mid 2017 iMac uses “10-bit dithering”, which is basically 8-bit + FRC.